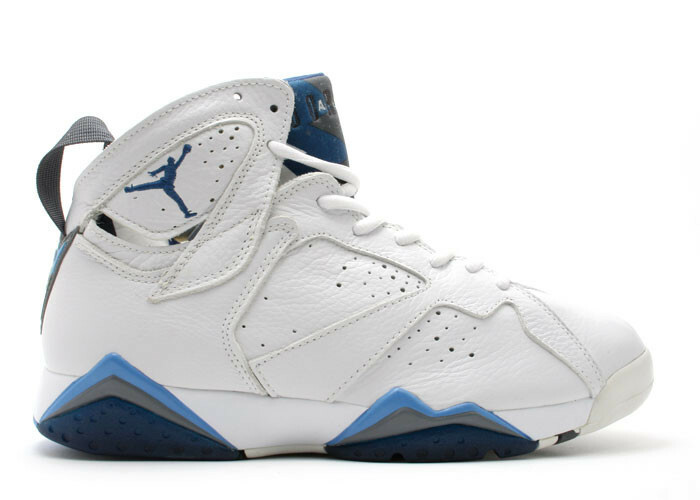 The Air Jordan 7 French Blue released back in 2002 when quality and design prevailed as the number one priority. The sneaker's quality white leather upper is complimented by hits of french blue and flint grey throughout. A special tongue design on the sneaker adds flair to the look. What we are expecting to release again in the near future, the Air Jordan 7 French Blue is a great addition to anyone's collection.